The "Birthplace of America," Philadelphia, boasts some of the best historical markers of the events in United States history including Independence Hall, where the Declaration of Independence was signed, and the Liberty Bell. The city also plays host to a number of great museums like the Museum of Art, the Museum of the American Revolution, and the Please Touch Museum. However, these and many other museums in this historical city charge a fee for entry, but there are plenty of free Philadelphia museums to choose from offering educational experiences in history, science, and even shoes. If you're planning a vacation to Philadelphia and want to spend a day inside one of its many museums, check out some of these great exhibits that don't charge a fee for entry. Discover the history of chemistry and how it shapes our lives today through permanent and changing exhibits at the newly-renamed Science History Institute. Formerly known as the Chemical Heritage Foundation, the Science History Institute features such as exhibits as "Making Modernity" and "Transmutations: Alchemy in Art" free of charge. Open Monday through Friday, plus occasionally in the evening for special events, the Science History Institute is located at 315 Chestnut Street. 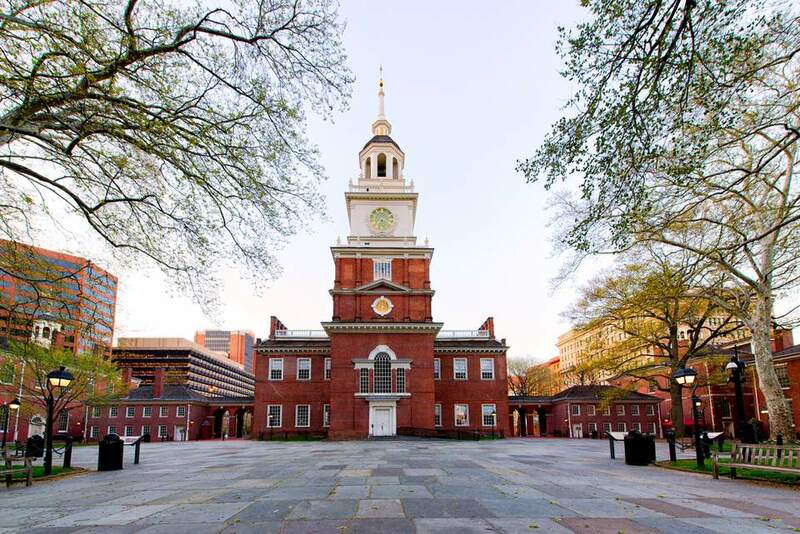 These historical sites are completely free to visit but note that between March and December, you will need to reserve tickets in advance in order to visit Independence Hall. Both are located downtown (Center City) at 6th and Market Streets, making them a convenient stop even if you're taking the train. Free and open to the public Friday through Sunday, the Edgar Allen Poe National Historic Site is a brilliant preservation of the late poet's home. Here, guests can browse through collections of Poe's thrilling writing in the lavishly decorated Reading Room or tour the old, unfurnished home where Poe wrote many of his most famous works. Located at 532 North 7th Street, this historic site is relatively far from other historic sites like the Liberty Bell and Independence Hall, but it's well-worth the trek if you're a big fan of Edgar Allen Poe. Open Wednesday through Sunday, the Institute of Contemporary Art features current art from local, national, and international artists in a variety of mediums. Located at 118 South 36th Street, this museum is also relatively far away from downtown but easily accessible by public transit or taxi services. The Winter Opening Reception kicks off the winter gallery season on February 2 in 2018, and it will be closed until then as the new exhibit is installed. Learn about and see artifacts from the life of famous tenor Mario Lanza, who was born in Philadelphia, at the Mario Lanza Institute Museum. Located inside the Institute at 712 Montrose Street, this museum features photos, clothing, posters, and gold records of the famed musician. This museum celebrates Poland, Polish culture, and the history of Polish people in America and is open Monday through Friday year-round and Saturdays from May through December. In addition to its permanent free exhibit, the Polish American Cultural Center also hosts meetings, lectures, and events to raise public awareness of Philadelphia's Polish heritage. The foot-focused museum run by Temple's Podiatric school houses a collection of over 900 pairs of shoes, including pairs worn by Joan Rivers and Sally Struthers. The museum is free, but you must schedule your visit in advance. Although it's closed from November through March, when Philadelphia starts to warm up in April you can visit the home of the Polish-American Revolutionary War hero Thaddeus Kosciuszko. Here, you can discover how his engineering skill helped win the war. Located at 3rd and Pine Streets, the Thaddeus Kosciuszko National Memorial is only open on weekends from April through October from noon to 4 p.m.
Tucked inside a Victorian mansion, the Woodmere Art Museum features works by Philadelphia-area artists in a full gallery. With new exhibits coming around quarterly, making the treck to Germantown to see this museum is definitely worth it. Located at 9201 Germantown Avenue in Northern Philadelphia, the Woodmere Art Museum is free and open Tuesday through Sunday at varying hours.